This jumper doesn't require any V-Bucks or Battle Royale wins! Purchase this stylish piece of Fortnite merchandise and look the part as you attempt to survive the chaos. Get the adults Fortnite Balloon Drop Cobalt Jumper today in Large. Whilst we can't promise that this will guarantee you a Battle Royale win, we can say that you will look champion. 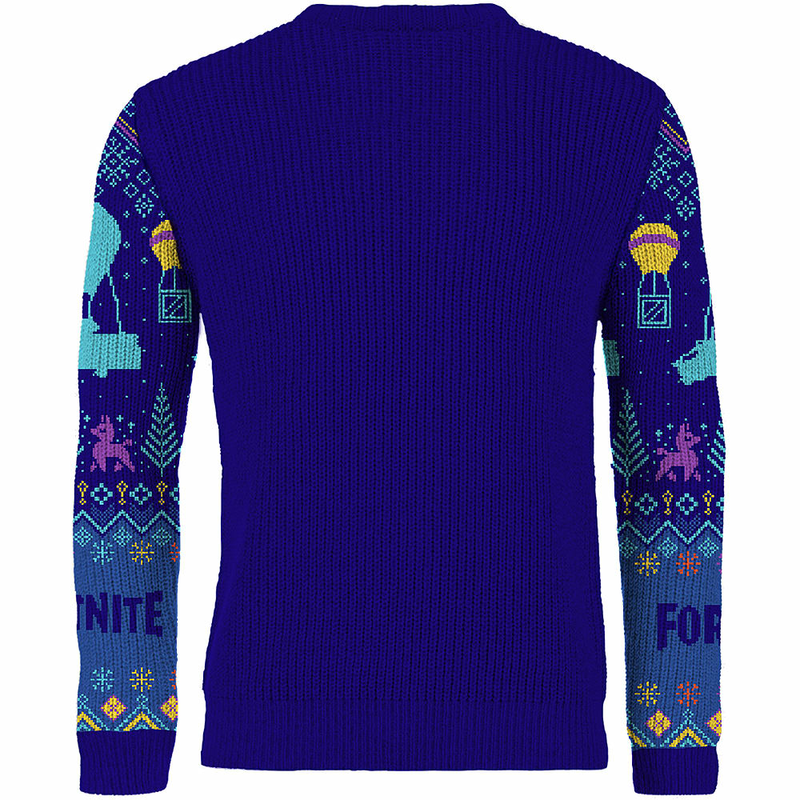 This Fortnite jumper is adults size large and would make the perfect gift this Christmas.